How do you make changes to and resize hard drive partitions without breaking your system and losing all of your files? Start with Linux. Before we start, there are a few things we need to cover. 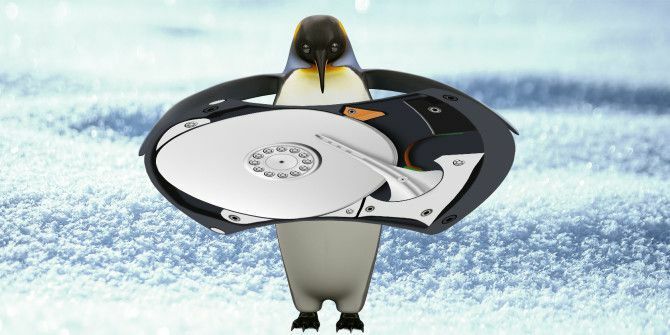 This article will focus on resizing Linux partitions that may or may not have operating systems on them. If you need to resize other partitions, such as Mac OS X partitions or Windows hard disk partitions Manage Your Hard Disk Partitions Like A Pro With EaseUS Partition Master [Windows] Manage Your Hard Disk Partitions Like A Pro With EaseUS Partition Master [Windows] When you ask a tech crowd about disk partition managers, many people will agree that EaseUS Partition Master is the best tools for the job. Why? 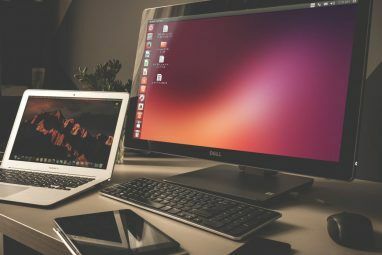 Because it offers many great features, yet remains easy... Read More (those with the operating system on them need special treatment — those that hold ordinary files can be resized with these Linux tools), then this is not the article for you. That being said, there’s one tip I can provide since a lot of people dual boot Windows and Linux. If you plan on making changes to your Windows partition How To Shrink & Extend Volumes Or Partitions in Windows 7 How To Shrink & Extend Volumes Or Partitions in Windows 7 In Windows 7 and Windows Vista, resizing your volumes or re-partitioning your hard drive has become a lot easier than in previous Windows versions. 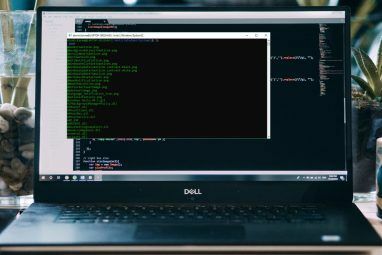 However, there are still a few pitfalls that will require you... Read More (for example, because you want to shrink Windows in order to give more space to Linux), then you’ll need to make changes to your Windows partition from within Windows. Do not touch your Windows partition with the Linux resizing tools! Otherwise, there’s a good chance that it will break your Windows installation and you’ll have to completely reinstall it. To resize your Windows partition, right-click on the Start menu if you run Windows 10 or open the Start menu and right-click on Computer if you run an older version. Then, pick Disk Management. Now, right click on the partition you want to change, and choose Shrink or Grow depending on what you want to do. Follow the wizard and you’ll be able to safely resize that partition. While there are lots of options available for Linux, including a handful of terminal-only tools, we’re going to recommend GParted, a graphical tool that provides the most universal support for manipulating Linux partitions GParted - The Ultimate In Partitioning Software GParted - The Ultimate In Partitioning Software Read More . With GParted, you have three different options for using it, and I’ll tell you when you should use one option over another. This is a specialized distribution based on Debian that allows users to load GParted The GParted Live CD: A Quick Way To Edit Your Primary Partitions [Linux] The GParted Live CD: A Quick Way To Edit Your Primary Partitions [Linux] Edit your partitions from outside your operating system. The GParted Live CD is a simple Linux distro you can use to change the size of your partitions – or wipe a drive entirely. Built around... Read More on any computer via an optical disc or USB flash drive. 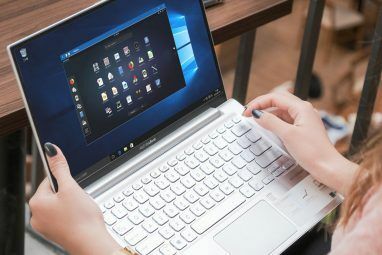 It does not require any installation — it boots from the media and runs solely in the RAM, but is able to resize partitions on any hard drives that are attached to the computer. This is the best option, as it has full access to the hard drives with minimal worry that something will break. On Linux, resizing a system partition while it’s running is a bad idea (unlike Windows), so going with this route avoids that issue. This is simply the default Ubuntu installation disc that can be booted from an optical disc or a USB flash drive. With it, you can boot into a live environment that requires no installation and launch GParted 4 Reasons Every Windows User Should Have An Ubuntu Live CD 4 Reasons Every Windows User Should Have An Ubuntu Live CD Read More which thankfully comes included with this image. As far as what is the best option, this is equally as good as the GParted Live Disc. The only downside is that downloading the Ubuntu image takes longer than downloading the GParted image. Then again, Linux users are generally more likely to have an Ubuntu image already downloaded and ready, and the same can’t be said as much for the GParted image (although it’s not a bad idea). Then, simply open GParted, let it scan your hard drives, and then right click on the partitions you’d like to change and pick the corresponding action. Once you’ve done, don’t forget to hit Apply to put your changes into effect. You should be fine resizing partitions as long as you aren’t changing any system partitions. If you want to do that, you should use one of the above two options. Resizing partitions really shouldn’t be much of an issue as long as you follow these steps. Of course, it’s still best if you backup all of your data before you make any changes, but I’ve been resizing partitions often using this strategy and haven’t had any issues worth mentioning. If you need to resize your Linux partitions, this is the way to go. What other Linux partitioning tools do you like using? Let us know in the comments! Explore more about: Disk Partition, Linux. I am stuck trying to do this. I don't understand partitioning at all. I had to bypass my ssd and install on a 2ndary hdd and without understanding how to set up the partitions I ended up with a default /filesystem which is only 10gb. Somehow this got full right away and started giving me low disk space warnings. I've been googling all day. I want to give it the whole 256 gb drive and have everything have plenty of room but reading the how to's is not getting through to me. "If the filesystem is mounted, it can be used to expand the size of the mounted filesystem, assuming the kernel and the file system supports on-line resizing. Modern Linux 2.6 kernels will support on-line resize for file systems mounted using ext3 and ext4 [..]"